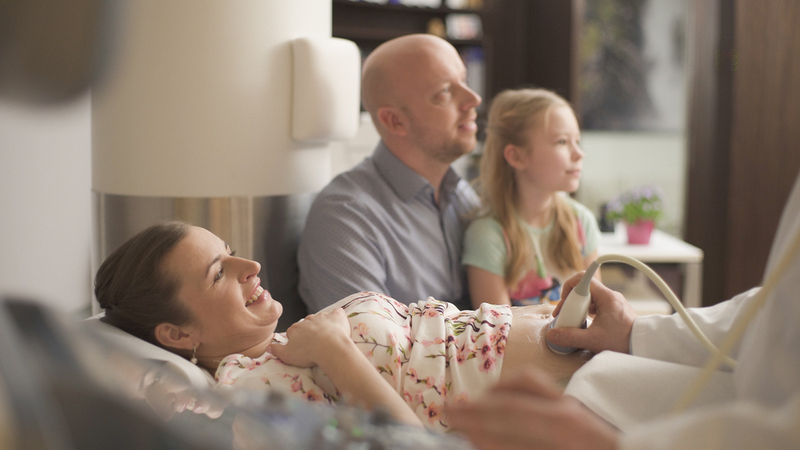 We offer high-quality private ultrasound service based on the most advanced technology in the cosy environment! We offer high-quality private ultrasound service based on the most advanced technology in the cosy environment which meets the internationally established requirements. Activity licence L03850. In case of increased chromosomal risk of the fetus we provide reliable, one of the most accurate non-invasive screening test today – Panorama test and, if required, the fetal invasive chromosomal and genetic diagnostics and consultation in cooperation with Tallinn Department of Genetics of Tartu University Clinic. We have created a cosy and family-centred ultrasound centre where the whole family can come to admire the future human being. This strengthens the family relations and enables to enjoy the wonderful time of pregnancy. In addition to up-to-date advanced technology and complicated diagnostic and screening programmes humanity, great client service and individuality are essential in our everyday work. If the fetus is fine, then... there is no greater happiness in the world than to share happiness - by A.H. Tammsaare " Tõde ja Õigus", part IV. WHO (World Health Organization) and FIGO (International Federation of Gynecologists and Obstetricians) recommend a pre-eclampsia risk assessment for pregnancy. From March onwards, a recognized gynecologist and a valued fetal ultrasound specialist, Dr. Valeria Angioni, will start to take patients in Fetal Ultrasound Center.